The NEC PWRCRD-NP40 is a replacement power cord for NEC projectors. 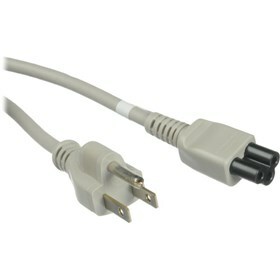 It is a 6' AWG 18 computer-type cord with a 3-slot female plug (IEC) for the projector input and a grounded 3-prong US AC plug (NEMA 5-15P). The NEC PWRCRD-NP40 has many exciting features for users of all types. The NEC PWRCRD-NP40 is sold as a Brand New Unopened Item.